This guest post is by Camille McClane, a freelance writer and online entrepreneur in the Los Angeles area. Social media is likely an important part of your marketing strategy in 2013, regardless of what industry you’re in. Chances are if you’re running a small business, you’re also spending a considerable amount of your time on social media sites or employing somebody at least part-time to do so. But are your social media efforts actually turning into sales, new clients or page views? Without an understanding of how to properly track your social media efforts, it’s pretty much impossible to know. And, once you’ve got a clearer idea of where you want to go, you can get started on expanding your social media marketing strategy to its fullest potential. Before you start downloading tools to help you track your social media results, you need to define your goals. After all, if you don’t know what your goals are, you won’t know when you need to step up your efforts or if your plan is working. When you first start out, more traffic to your main site might be all you’re looking for from social media marketing. As your marketing efforts grow, you’re likely going to want to see increased sales or new clients. Whatever your goals are, make sure you plan them out step-by-step. On social media sites, like Facebook and Twitter, people talk about brands, products and services that they like or have problems with. Monitoring your brand’s health – what people are really saying about your brand – is an essential part of using social media to benefit your business. While you might only be able to monitor about 5-percent of the conversations on Twitter because the conversation volume is so high, that can still give you an idea of what people are saying about you. Facebook and Google+ can also be helpful-- even though many conversations are restricted. Learn to use Twitter and Facebook’s search and monitoring functions for business. These tools are great for keeping up with your social media results. You want a dashboard that can help you measure in real-time your social media engagement, track analytics, and use them to correlate them to your sales. There are plenty of dashboards out there that have these features and more. Google Analytics is one of the more popular tools available. Cyfe is another fairly all-inclusive dashboard, one that’s used by big companies like Groupon and AT&T. Even if you aren’t in an industry that typically benefits from a significant amount of social media marketing, chances are you’re doing it, at least on a small scale. In 2013, the only businesses that aren’t using social media are ones that don’t feel the need to grow or expand with the times. If you want to keep your business growing, social media is going to be an important part of the equation. Camille McClane is a freelance writer and online entrepreneur in the Los Angeles area. As someone with social media experience, she understands how important it is for businesses to track how effective their marketing efforts are. How do you track your social media marketing results? Share your comments below! Are you checking your metrics? The above is my listing at SocialBakers.com the leading social media analysis company worldwide. You can put in your country and your fav social media tool in and see where you rank. 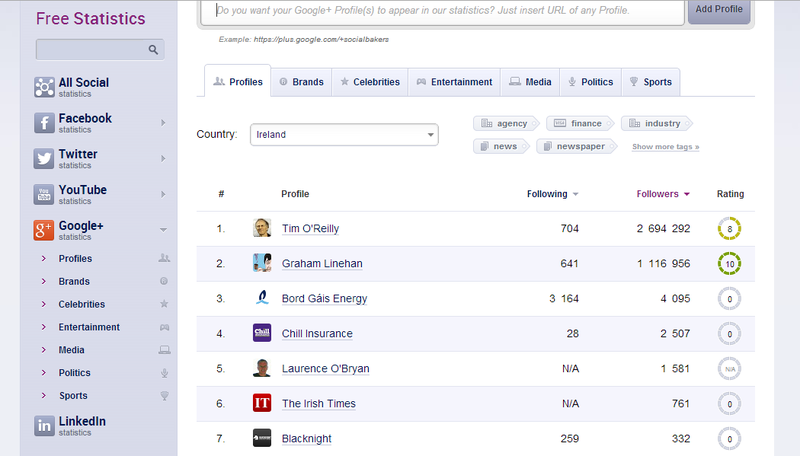 What I found interesting, aside from me being #5 in Ireland on Google+ and #68 on Twitter, is who the biggest players are. On Facebook it's all about consumer brands, many of which offer prizes. Is Facebook becoming Couponbook in your country too? On YouTube I see evidence of what my eleven year old son is doing. Comedy animations are #1 in Ireland. This tells us a lot about where media is heading. But how will business use animation? One way to do it is through wideo.com I saw a great intro animation for a business created there recently. If you have good design skills and an imagination anything is possible. There are lots more nuggets on SocialBakers.com. If you want to stay up to date, this is the place to go. If you have any observations about anything you see there, please comment below. The Manhattan Puzzle hit #6 in the US Amazon Crime category the day after publication. A breakthrough position for me and good news for all of us. This is the highest selling UK or Irish crime novel at this time. The image is a screen grab I took a few minutes ago. Never tell me social media doesn't work. Please share this post. And if you want to buy The Manhattan Puzzle click here. New offices + Invitation to work with us! 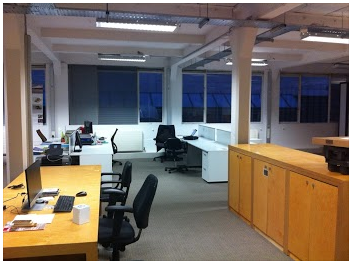 We just moved into new offices at 5 Dame Lane in Dublin 2, Ireland. 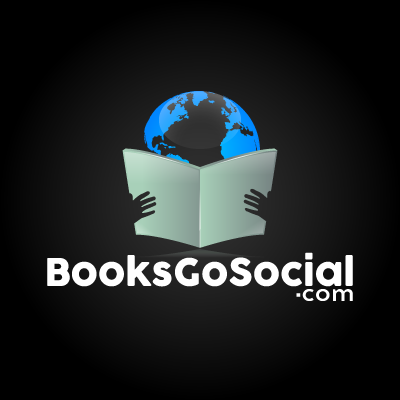 Our client list has grown fast and we hope you can join us if you need support with any aspect of social media. We have air-conditioned training facilities for up to 15, meetings rooms, office space and, most importantly shared kitchen facilities with lots of amazing design and web gurus! The area, near Wicklow Street in central Dublin is probably the most vibrant in the city (look at the location map below). And better, IMHO, than where Facebook are, stuck way out in the wilds at the end of the river!